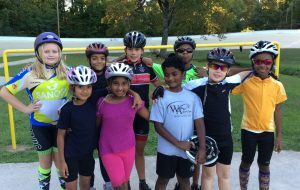 The Youth Cycling League is FREE for all Tri-Cities kids! Runs from time change in March to end of October each year. We will be starting March 18th for 2019. All youth start in the Beginner seasons and will be advanced by the coaches into the Intermediate when ready. 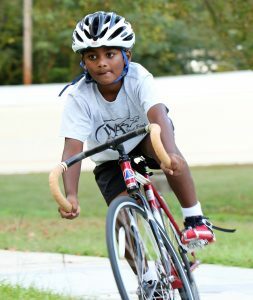 Our youth program began in 2003 to get the Tri-Cities-area kids interested in riding and racing bicycles. Since then it has grown into three separate classes to accommodate a wide range of ages and experience levels. The program runs from the daylight savings time change in March through the end of October. Be sure to check the calendar and the weather. Practice will not be held on holidays or if the track is wet. On your first day, regardless of age or experience level, arrive early (between 5:00 and 5:15) with A SIGNED WAIVER or a parent/guardian who can sign a waiver. 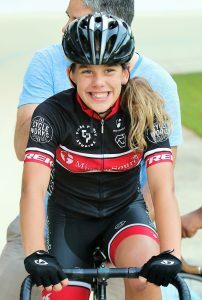 Youth Cycling League is free for all Tri-Cities kids. For everyone else, we suggest a donation of between $25 and $300 each year to support expenses. No one will be turned away because of an inability to make a donation. You must already know how to ride a bicycle. We provide bikes, helmets, and water, but you can also bring your own water bottle and helmet from home. Be sure to wear athletic clothes and sneakers with short laces. We also recommend you eat something before practice. We begin after the daylight savings time change in March and run through the end of October. We will be starting March 18th for 2019. How do I advance through the program? It comes down to coach’s digression. Generally, the Beginner Class is for ages 8-12 and the Intermediate class is for ages 12-16. All youth start in the Beginners regardless of age and are advanced to next level via coaches discretion. 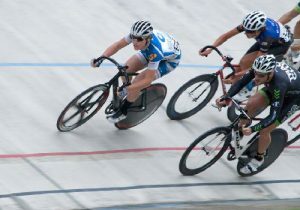 On your first visit to the velodrome please show up early to the Beginner Class to complete your waiver. If you are anxious to move into the next class, ask your DLV coach what you can do outside of class to be a better rider and teammate . 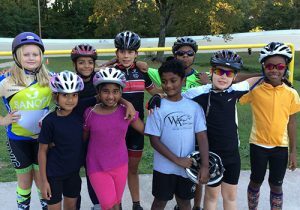 Thanks to our generous sponsors and individual donations, we provide bikes, helmets, and coaches to introduce your kids ages 8-16 to the fun, practical, and exciting discipline of cycling. 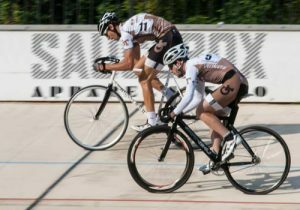 Riders can expect skills drills, games, and practice races that will increase in difficulty as they progress through the program. They will also have the opportunity to compete under the lights during the Pro Race Series events. Don’t miss the fun. Come down for the next class!